Join renowned trauma expert and NY Times bestselling author, Bessel van der Kolk, MD, for this transformational intensive recording on the latest research and drug-free treatment techniques for your trauma clients. Dr. van der Kolk will give you a new understanding of the neuroscience of traumatic stress and the research demonstrating the efficacy of mind-body treatment approaches. He will detail the benefits of neurofeedback, EMDR, mediation, yoga, mindfulness, and sensory integration methods such as dance and movement. This is a “don’t miss” recording that is based on Dr. van der Kolk’s own research but also that of other leading specialists. through the International Association of Trauma Professionals (IATP) at https://www.traumapro.net. Multi-disc DVD recording with electronic manual and instructions. BESSEL A VAN DER KOLK, M.D. Analyze & communicate how traumatized people process information. Determine how sensorimotor processing can alleviate traumatic re-experiencing. Articulate the range of adaptations to trauma early in the life cycle. Substantiate how trauma affects the developing mind and brain. Communicate the recent advances in neurobiology of trauma. Differentiate between disrupted attachment and traumatic stress. Breakdown how adverse childhood experiences effect brain development, emotion regulation & cognition. Choose techniques of physical mastery, affect regulation and memory processing. Explore the development of Developmental Trauma Disorder. Critique the current DSM-5® position on DTD. Model how to integrate various treatment approaches in your practice. Through an understanding of the research, explore treatment strategy alternatives to drugs and talk therapy. Bessel A. Van der Kolk, M.D., is a clinician, researcher and teacher in the area of post-traumatic stress. His work integrates developmental, neurobiological, psychodynamic and interpersonal aspects of the impact of trauma and its treatment. Dr. van der Kolk and his various collaborators have published extensively on the impact of trauma on development, such as dissociative problems, borderline personality and self-mutilation, cognitive development, memory, and the psychobiology of trauma. He has published over 150 peer reviewed scientific articles on such diverse topics as neuroimaging, self-injury, memory, neurofeedback, Developmental Trauma, yoga, theater and EMDR. He is founder and medical director of the Trauma Center in Brookline, Massachusetts. The Trauma Center consists of a well-trained clinical team specializing in the treatment of children and adults with histories of child maltreatment, that applies treatment models that are widely taught and implemented nationwide. He also created the Trauma Research Foundation, the non-profit arm of the Trauma Center, that is organized to promote clinical, scientific and educational projects. His most recent 2014 New York Times best seller, The Body Keeps the Score: Brain, Mind, and Body in the Treatment of Trauma, transforms our understanding of traumatic stress, revealing how it literally rearranges the brain’s wiring – specifically areas dedicated to pleasure, engagement, control, and trust. He shows how these areas can be reactivated through innovative treatments including neurofeedback, somatically based therapies, EMDR, psychodrama, play, yoga, and other therapies. Dr. van der Kolk is the past president of the International Society for Traumatic Stress Studies, and professor of psychiatry at Boston University Medical School. He regularly teaches at conferences, universities, and hospitals around the world. 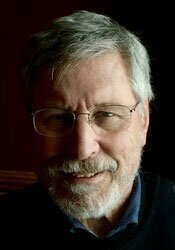 Financial: Bessel van der Kolk is a professor of psychiatry at the Boston University School of Medicine. He receives a speaking honorarium from PESI, Inc.
Nonfinancial: Bessel van der Kolk has no relevant nonfinancial relationship to disclose. Save time and $10 off the price of other submission methods – purchase & take the CE test online for $19.99 USD per participant. Additional processing fees apply for other submission methods (i.e. mail, fax, etc.). Please contact our Customer Service at 1-800-844-8260 for more details. Listed below are the continuing education credit(s) currently available for this non-interactive self-study package. Please note, your state licensing board dictates whether self study is an acceptable form of continuing education. Please refer to your state rules and regulations. Certificates of Successful Completion are available for email, download and/or printing from your online account immediately following the successful completion of the post-test/evaluation. **Materials that are included in this course may include interventions and modalities that are beyond the authorized practice of mental health professionals. As a licensed professional, you are responsible for reviewing the scope of practice, including activities that are defined in law as beyond the boundaries of practice in accordance with and in compliance with your professions standards. This self-study course has been approved by PESI, Inc., as a NAADAC Approved Education Provider, for 12.5 CE in the Counseling Services skill group. NAADAC Provider #77553. PESI, Inc. is responsible for all aspects of their programming. Full attendance is required; no partial credit will be awarded for partial attendance. California Alcoholism & Drug Abuse Counselors: PESI, Inc. is an approved provider by the CCAPP-EI, Provider #: OS-03-036-1019. This self-study activity meets the qualifications for 12.5 CEH's (continuing education hours). Connecticut Addiction Counselors: Provider #120924. This course has been approved as a CCB approved training and has been awarded 12.5 hours by the Connecticut Certification Board. This intermediate self-study activity consists of 12.5 clock hours of continuing education instruction. Credit requirements and approvals vary per state board regulations. Please save the course outline, the certificate of completion you receive from the activity and contact your state board or organization to determine specific filing requirements. New York Counselors: PESI, Inc. is recognized by the New York State Education Department's (NYSED) State Board for Mental Health Practitioners as an approved provider of continuing education for Licensed Mental Health Counselors. #MHC-0033. This self-study activity will qualify for 15.0 contact hours. Full attendance is required; no partial credits will be offered for partial attendance. South Carolina Counselors, Marriage & Family Therapists and Psycho-Educational Specialists: This program has been approved for 12.5 continuing education hours by the South Carolina Board of Examiners for Licensure of Professional Counselors, Marriage and Family Therapists, and Psycho-Educational Specialists. Provider #4540. Texas Counselors: PESI, Inc. has been approved as a continuing education sponsor through the Texas State Board of Examiners of Professional Counselors. Provider #: 2477. This self-study course qualifies for 12.5 continuing education credits. This self-study activity consists of 12.5 clock hours of continuing education instruction. Credit requirements and approvals vary per state board regulations. Please save the course outline, the certificate of completion you receive from this self-study activity and contact your state board or organization to determine specific filing requirements. Illinois Marriage & Family Therapists: PESI, Inc. has been approved as a provider of continuing education by the State of Illinois, Department of Professional Regulation. Provider #: 168-000156. Full attendance at this self-study activity qualifies for 12.5 credits. New York Marriage & Family Therapists: PESI, Inc. is recognized by the New York State Education Department's (NYSED) State Board for Mental Health Practitioners as an approved provider of continuing education for Licensed Marriage and Family Therapists. #MFT-0024. This self-study activity will qualify for 15.0 contact hours. Full attendance is required; no partial credits will be offered for partial attendance. Texas Marriage & Family Therapists: PESI, Inc. has been approved as a continuing education sponsor through the Texas State Board of Examiners of Marriage and Family Therapists. Provider #: 503. This self-study activity qualifies for 12.5 continuing education credits. California Nurses: PESI, Inc. is a provider approved by the California Board of Registered Nursing, Provider #:17118 for 12.5 self-study contact hours. You will need to provide your license number to PESI. PESI must have this number on file in order for your hours to be valid. Florida Nurses: PESI, Inc. is an approved provider by the Florida Board of Nursing. Provider #: FBN2858. These materials qualify for 12.5 self-study contact hours. Iowa Nurses: PESI, Inc. is an approved provider by the Iowa Board of Nursing. Provider #: 346. Nurses successfully completing these self-study materials will earn 12.6 self-study contact hours. PESI, Inc. is an AOTA Approved Provider of continuing education. Provider #: 3322. This self-study course qualifies for 12.5 self-study contact hours or 1.25 CEUs in the Category of Domain of OT and Occupational Therapy Process. The assignment of AOTA CEUs does not imply endorsement of specific course content, products, or clinical procedures by AOTA. Course Level: Intermediate. Expires: 1/31/2021. Florida Occupational Therapists & Occupational Therapy Assistant: PESI, Inc. is an approved provider with the Florida Board of Occupational Therapy. Provider Number 50-399. This self-study course qualifies for 12.6 continuing education credits. The following state psychologist boards recognize activities sponsored by PESI, Inc. as an approved ACCME provider: Alaska, Arkansas, California, Colorado, Georgia, Illinois, Indiana, Kentucky, Maine, Maryland, Missouri, Nebraska, Nevada, New Hampshire, New Jersey, New Mexico, Oklahoma, Pennsylvania, South Carolina and Wisconsin. This self-study activity consists of 12.5 clock hours of continuing education instruction. Certificates of attendance will be issued for you to submit to your state licensing board to recognize for continuing education credit. Full attendance is required; no partial credits will be offered for partial attendance. PSYCHOLOGISTS/PSYCHIATRISTS/PHYSICIANS: PESI, Inc. is accredited by the Accreditation Council for Continuing Medical Education to provide continuing medical education. PESI, Inc. designates this enduring material for a maximum of 12.5 AMA PRA Category 1 Credit(s). This activity was originally recorded on 01/31/2019. It was last reviewed on 03/18/2017 and is valid until 03/18/2020. Physicians should only claim credit commensurate with the extent of their participation in the activity. You are required to successfully complete and submit a post-test prior to receiving a certificate of completion. Florida Board of Psychology: PESI, Inc., is an approved provider with the Florida Board of Psychology. Provider Number 50-399. This product qualifies for 12.6 self-study continuing education credits. Please make sure to bring your license number to the seminar so that we can report your attendance to CE Brokers. Pennsylvania Psychologists: PESI, Inc. is approved by the Pennsylvania State Board of Psychology to offer continuing education for psychologists. PESI maintains responsibility for the program(s). This self-study program qualifies for 12.5 continuing education hours. Kentucky Psychologists: PESI, Inc. is approved by the Kentucky Board of Examiners of Psychology to offer continuing education for psychologists. PESI maintains responsibility for this program and its content. This self-study activity will qualify for 12.5 contact hours. California Social Workers/ Counselors/Marriage & Family Therapists/Licensed Educational Psychologists: This intermediate activity consists of 12.0 clock hours of continuing education instruction. Credit requirements and approvals vary per state board regulations. Please contact your licensing board to determine if they accept programs or providers approved by other national or state licensing boards. A certificate of attendance will be awarded at the end of the program to participants who are in full attendance and who complete the program evaluation. Colorado Social Workers: PESI, Inc. is an approved provider with the Colorado Chapter of the National Association of Social Workers. Provider #1413. This course has been approved for 12.6 continuing education hours. Florida Social Workers/Marriage & Family Therapists/Mental Health Counselors: PESI, Inc. is an approved provider with the Florida Board of Clinical Social Work, Marriage and Family Therapy and Mental Health Counseling. Provider Number 50-399. This self-study course qualifies for 12.5 continuing education credits. Illinois Social Workers: PESI, Inc. is an approved provider with the State of Illinois, Department of Professional Regulation. License #: 159-000154. Successful completion of this self-study activity qualifies for 12.5 contact hours. Kansas Social Workers: PESI, Inc. is an approved provider with the Kansas Behavioral Sciences Regulatory Board. Provider #14-006. This self-study course has been approved for 12.5 continuing education hours. Minnesota Social Workers: PESI, Inc. is an approved provider with the State of Minnesota, Board of Social Work. Provider #: CEP-140. This self-study course has been approved for 12.5 continuing education hours. A certificate will be issued upon successful completion of a post-test. New York Social Workers: PESI, Inc. is recognized by the New York State Education Department's (NYSED) State Board for Social Work as an approved provider of continuing education for licensed social workers #SW-0008. This self-study activity will qualify for 15.0 contact hours. Full attendance is required; no partial credits will be offered for partial attendance. Expires: December 31, 2020. Ohio Social Workers/Counselors/Marriage & Family Therapists: PESI, Inc. is an approved provider with the State of Ohio Counselor, Social Worker and Marriage & Family Therapist Board. Provider approval #: RCST071001. Successful completion of this self-study course meets the qualifications for 12.5 clock hours of continuing education credit. Pennsylvania Social Workers/Counselors/Marriage & Family Therapists: This intermediate activity consists of 12.5 clock hours of continuing education instruction. Credit requirements and approvals vary per state board regulations. Please contact your licensing board to determine if they accept programs or providers approved by other national or state licensing boards. A certificate of attendance will be awarded at the end of the program to participants who are in full attendance and who complete the program evaluation. Full attendance is required, variable credits may not be awarded per the Pennsylvania State Board. This self-study activity qualifies for 12.5 clock hours of instructional content as required by many national, state and local licensing boards and professional organizations. Retain your certificate of completion and contact your board or organization for specific filing requirements. Disclaimer: **Information obtained in this course should be used within your scope of practice. **It is your ethical responsibility to report accurate hours to your licensing board. **All self-study participants must complete and pass (80% or better) a post-test/evaluation prior to receiving a certificate of completion. If you require a copy of the test/evaluation for CE purposes, please print at the time you take the test. Or you may call our customer service department and a copy of your test/evaluation will be emailed to you. Please allow 30-45 days. 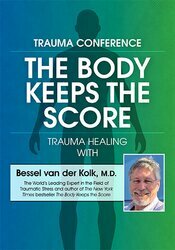 The Body Keeps Score: Seminar + Book Bundle (paperback) with Bessel van der Kolk, M.D. Your satisfaction is our goal and our guarantee. Concerns should be addressed to Psychotherapy Networker, 5135 MacArthur Boulevard N.W., Washington, D.C. 20016 or call (888) 851-9498. We would be happy to accommodate your ADA needs; please call our Customer Service Department for more information at (888) 851-9498.